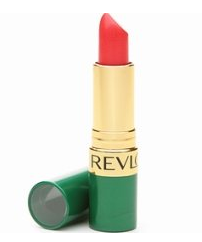 Revlon’s Colorburst Lipstick is perfect for summer! The bright, bold hue promises to glam up your face and your outfit no matter what you’re wearing. Don’t worry, this lipstick is also super light on your lips, which means it won’t feel heavy or caked-on in the summer sun! What else is amazing about this beautiful lipstick? It is known for a little something special called “elasticolor,” which means that this lipstick releases light and long-lasting color straight to your lips for a daring burst of color that will last all day long. One summer makeup dilemma every girl hates? Having to re-apply her makeup every 10 minutes because it gets washed off in the water or bubbles in the summer sun. But Maybelline Superstay 14 Hour Lipstick has that solved! This super long-lasting lipstick doesn’t fade and doesn’t feel heavy on the lips either, making it a win-win lipstick choice. We also love the delicate floral color because it is light, feminine and perfect for summer! 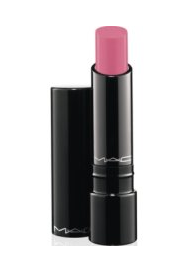 If there is one brand of makeup you know you can trust to supply high quality and high class lipstick, it is MAC! This shiny lipstick leaves lips feeling fresh and fabulous and not at all sticky. Plus, the light pink color is perfect when going for a more natural makeup look! We recommend this lipstick for a casual summer day (think: daytime date with the boyfriend or shopping spree with the girlfriends). Searching for a sheer lipstick? 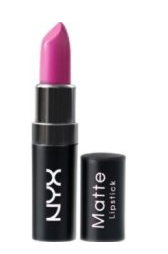 Go for NYX’s Matte Lipstick this summer! This lipstick glides over your lips so smoothly, you will barely even know it’s there. It’s also long-lasting with no fussy gloss or sticky shine. The matte finish is unique, and will add flair to your look. Say “hello” to summer with a smile that sparkles and shines! This bold and beautiful lipstick is summery and sultry and is guaranteed to look absolutely amazing with anything you choose to wear. What makes this lipstick the perfect choice for your summer beauty bag? It fights against nasty lip sunburns with its SPF ingredients, meaning this lipstick doesn’t just look good, it also does good things for your lips! Lipstick is easy to bring with you on all of your summer travels, and its lightweight feel on your lips means that gross, caked-on feel won’t be coming your way. Which of our five favorite lipsticks will you be wearing this summer? Let us know!